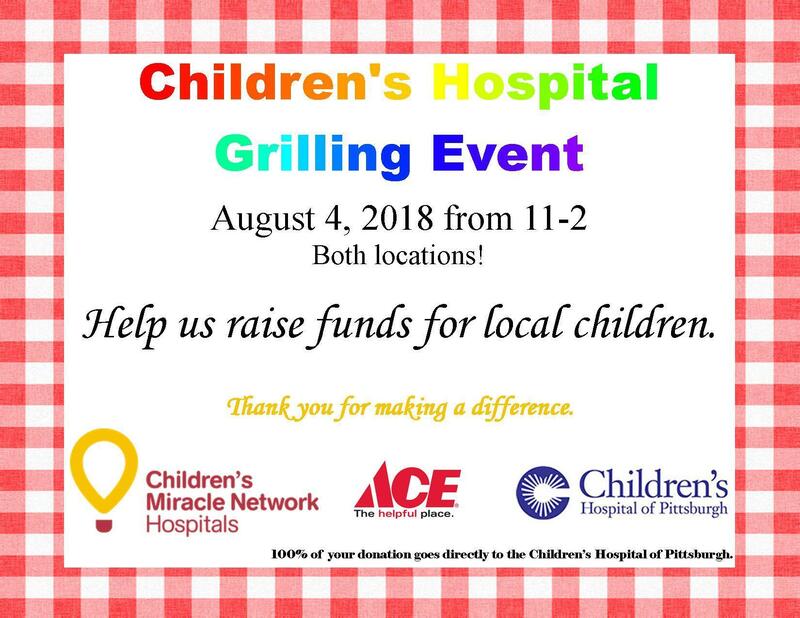 Children’s Miracle Network Hospital Grill-Out! « Children’s Miracle Network Bucket Event! Stop by on August 4th from 11-2 to enjoy some free samples for a great cause. We will be grilling for donations to our local Children’s Miracle Network Hospital. 100% of the funds raised will stay local (Children’s Hospital of Pittsburgh), directly benefiting children in our community.